"A David Fulton book"--Front cover. Becoming an Outstanding Languages Teacher explores the skills that it takes to deliver exceptional language teaching and produce outstanding results. 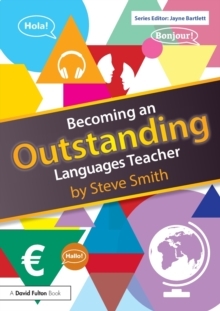 Offering support to all language teachers, this book offers a wide range of approaches to teaching and learning that will help to keep students stimulated and engaged when studying languages. Focusing on the nuts and bolts of lessons and teaching sequences, this guide looks at the methods used by teachers to interact with their students and offers practical strategies and ideas on how to incorporate skilled questioning and other interactions into the classroom. Drawing on a range of activities, case studies and tech tips to maximise engagement and learning, this book covers:running a room; dissecting a lesson: written texts, visuals and task-based approaches; enjoying sounds; dissecting a lesson: speaking and writing; purposeful games; getting grammatical; words and chunks; teaching all abilities; pace, questioning and other interactions; moving them forwards.